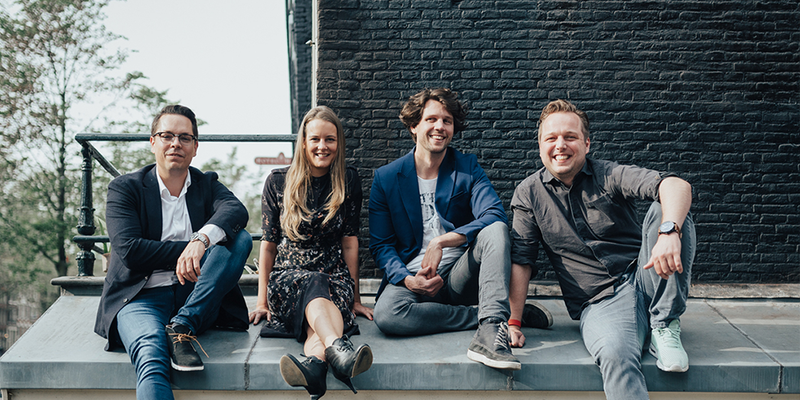 Anke Kuik has an international background in digital advertising and a year ago, together with three other people, she started Faktor, a blockchain based identity management platform. Faktor uses blockchain for more transparency in the transactions of personal data. 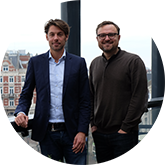 Their mission is to give people more control over their online data and make consumers part of a fair online value exchange. Find out why they’re a product-market fit, what is their long-term goal and what are some of the best examples of blockchain being used to good effect. 1. Hi Anke, thank you for agreeing to do the interview. You are the co-founder of Faktor, a blockchain based Identity Management platform for publishers, brands and consumers. Tell us more about Faktor, the idea that got it all started and the amazing team behind it. Three out of the four founders of Faktor have a background in Programmatic Advertising, which is an automated way of digital media buying to reach the right person, at the right time, with the right message. This type of media buying is very efficient but has one big challenge – the data available to reach people is poor. It is difficult to recognize people over different browsers, devices and time and it is difficult to recognize if people are real people or bots (ad fraud). This means that one person has multiple identifiers and people are too often followed by ads they are not interested in. Besides this, there is another challenge regarding data and the advertising industry: the GDPR, a new privacy law that will come into effect on the 25th of May 2018. This law states that people have the right to access, change, download and delete their online data. And companies can only use personal data if the user has given clear consent. This is going to have a large impact on the advertising industry and a lot of companies don’t really know how to deal with this. Tim Geenen, the founder and CEO of Faktor was quick at seeing these challenges and came with the bright idea to create a privacy manager with a consumer-controlled identifier. He quickly brought a team together and in May last year, we started Faktor. Since then, things have been going very quickly and there is a lot of interest. 2. What problems are you trying to solve with Faktor? What are the benefits for the users and why are you a product-market fit? Where does Faktor fit in the blockchain ecosystem? Advertisers don’t know who they are talking to and people don’t have control over their data and are annoyed with too many and non-relevant ads. The benefit for advertisers is that with our consumer controlled identifier they will be able to recognize people much easier and engage with them in the most relevant way. This means more effective advertising and knowing that real people are addressed. The benefits for internet users, people, is that they will get control over their data. They will decide which data they want to share, with who and for what purpose. The GDPR creates urgency for our solution as the requirements for companies around the use of personal data are much stricter and companies are barely prepared for this. We are using blockchain to keep track of the personal data transactions, which creates a lot of transparency to all parties involved and enhances trust. The personal data itself will be stored on the user’s device and people will decide themselves what to share and what not to. 3. The General Data Protection Regulation (GDPR) will become effective on May 25th, 2018. What does this mean for blockchain companies? The GDPR has an impact on all companies that collect data from European citizens, blockchain or not. We do believe though that blockchain is the perfect solution to manage personal data because of its decentralized and distributed character. 4. What was last year like for blockchain startups? How big is the industry? What is Faktor’s long-term goal and what’s in the pipeline? It was a year with a lot of noise around blockchain. We saw a lot of people being interested in it and a lot of events organised around the topic, which is great. We also saw a lot of blockchain startups popping up and an enormous increase in ICO’s (initial coin offerings, a way to get funding based on cryptocurrencies). For Faktor, last year was the year we were born and started to get our first clients in the pipeline. We expect to grow rapidly over the coming months since the effective date of the GDPR is near. 5. What do you think is the future of blockchain? What are some of the best examples of blockchain being used to good effect? What are some trends that we should look out for? We believe blockchain is the future and it is going to change the way we do business, no doubt. We are, however, very much at the beginning and there are still challenges and a lot that needs to be found out in the blockchain world. We need to continue to test and learn and the blockchain platforms need to develop and become faster and cheaper. But that’s what’s happening at a rapid pace. We already see platforms like Zilliqa, that can deal with a lot more transactions per second, so the future looks very promising. A great example of the blockchain use is Estonia. This small European country has managed to digitize almost all public services, with access granted to every citizen and resident via secure digital identities. If you’re wondering how that’s possible, the answer is: due to blockchain. Thank you for your insights Anke. We wish Faktor the best of luck!